Johnny Ward is an award winning actor from Dublin and has built up a very impressive résumé. 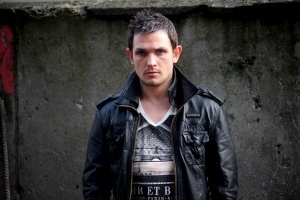 Other recent work includes his GOSS.IE award winning performance as “Ciaran Holloway” in RTE’s “Fair City”. Johnny is perhaps best known for his role in critically acclaimed RTE Drama Series ‘Love Hate’ where he starred as “Pauley”. In 2015, Johnny lived in South Africa where he worked alongside Ron Howard and Pierre Morel playing the male lead “Broud” in Fox TV’s “The Clan Of The Cave Bear”. He Played “Vinny” in the 2014 RTE comedy “The Centre” and was in the last Kirsten Sheridan film “Doll House”, where he starred as the male lead ‘Eanna’.In 2011 Johnny toured Ireland and U.K. as Ray Dooley in Martin McDonagh’s “The Beauty Queen of Leenane”. Johnny also had the male lead in the short film, “Two Hearts” which swept the boards, winning best short film festivals throughout Europe. In August 2010, he had a leading role in the feature film “This Must Be the Place” where he starred alongside Oscar Winner, Sean Penn. Other Film and TV credits include: ‘Danny’ in “The Best of Times”; ‘George’ in “Fear” (Disney’s Incredible Stories), ‘Bastien’ in “The Sock Monster” (Disney’s Incredible Stories), ‘Billy O’Brien’ in “Stone”, ‘Paul’ in A “Man of Few Words”. “Delphine”, “Boy from Mercury”, “Custer’s Last Stand Up” (BBC/RTE) and “The Informant”. He played the part of ‘David Flood’ in a film about the “Stardust” tragedy (RTE), ‘Marcus’ in “Prosperity” (RTE) and ‘Diarmuid’ in the award winning short “An Creatur”. Theatre credits include: ‘Prince Edward’ in the Theatreworks award winning production of “Richard the III” at the Samuel Beckett Centre, ‘Gavroche’ in the Cameron Mackintosh production of “Les Miserables” at the Point Depot, ‘DJ’ in “The Buddhist of Castleknock” by Jim O’Hanlon, and principal parts in numerous musicals and cabarets in Ireland and abroad. Johnny has also been the recipient of many awards and bursaries for Drama, Singing and Musical Theatre. He has been in a number of Web dramas, Voice-overs, TV and Radio commercials and has fundraised for many charities throughout the years. Johnny is a Drama and Singing teacher at Talented Kids Performing Arts School and is represented by MVW Talent Agency Ireland.